Bentley Bentayga SUV shown clocking 301 kmph. 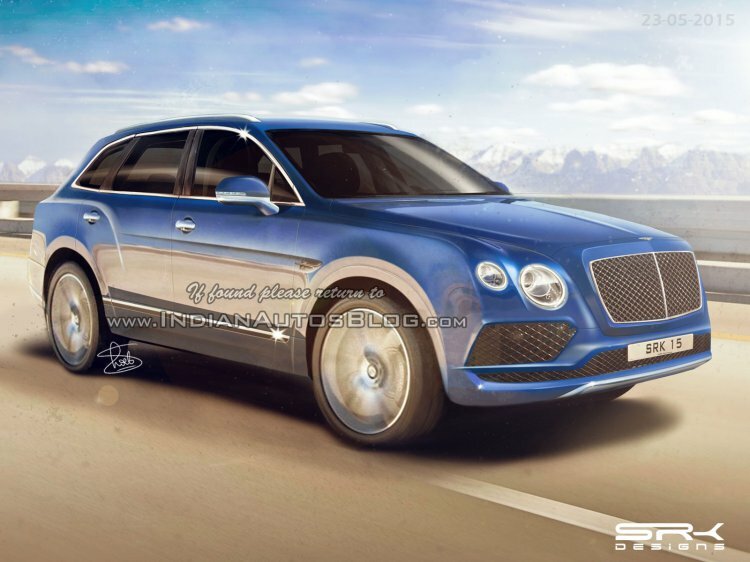 Bentley will be launching the much-awaited Bentley Bentayga SUV at the 2015 Frankfurt Motor Show. Previous spyshots and teasers have shown that the SUV is a capable off-roader, but the latest teaser released shows the SUV blasting down a high-speed test track. The Bentayga is based on the same aluminium-intensive MLB Evo platform that underpins the Audi Q7. Bentley has claimed that the super luxury mid-size SUV will not compromise on thier high standards of performance. The video above is the first proof of just how fast this mid-size SUV can go. This clip shows the vehicle undergoing a speed test on a test track. The car looks composed and stable as it takes on the banks at a blistering pace and then the inside view focusing on the digital speedometer of the SUV, which reveals a top speed of 301 km/h, making Bentley's Bentayga the fastest SUV in the world. The Bentley Bentayga is based on the same aluminium-intensive MLB Evo platform that underpins the Audi Q7. The most powerful variant of the Bentayga will be powered by a 6.0-liter turbocharged W12 engine capable of 550 bhp and 700 Nm of torque. The drive will be sent to all four wheels via a sophisticated AWD system, and is expected to propel the SUV from 0-100 km/h in under 5 seconds.